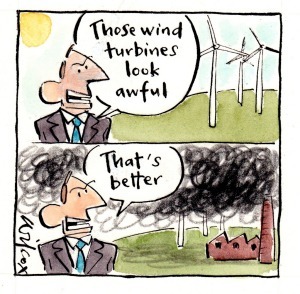 Forget the Prime Minister’s fear-mongering about “death cults”… Tony Abbott is launching a new war… A WAR ON RENEWABLES! 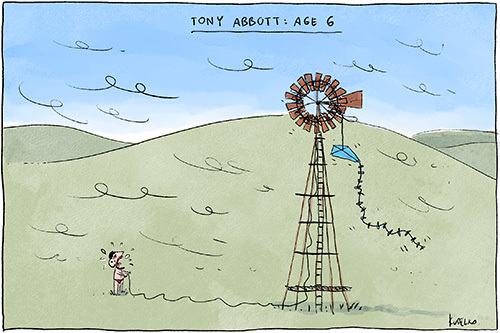 The Abbott government is sabotaging Australia’s energy future. 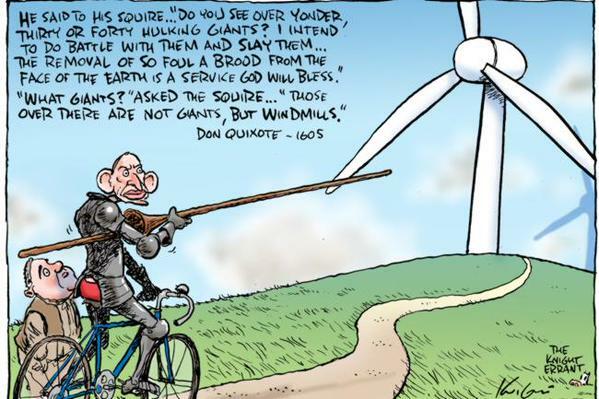 Not content with cutting the national Renewable Energy Target by 20 per cent, the government has taken a cricket bat to the Clean Energy Finance Corporation — a body that is cutting pollution while delivering a return to Australian taxpayers. 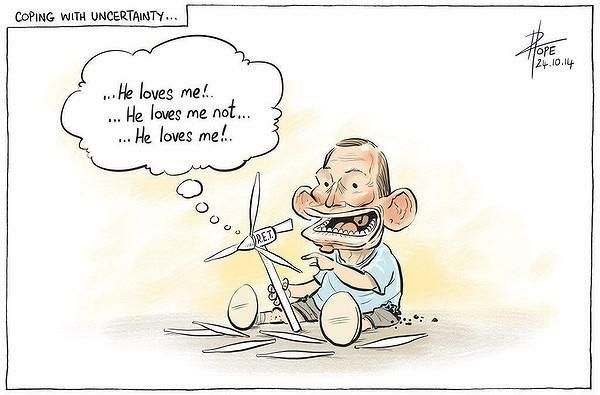 On Sunday July 12, Fairfax revealed the Abbott government had directed the independent Clean Energy Finance Corporation to no longer invest in wind farms. 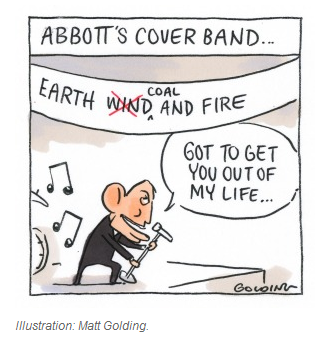 And within a few hours, another strike came with revelations Treasurer Joe Hockey has demanded the CEFC to back away from investments in household solar power. 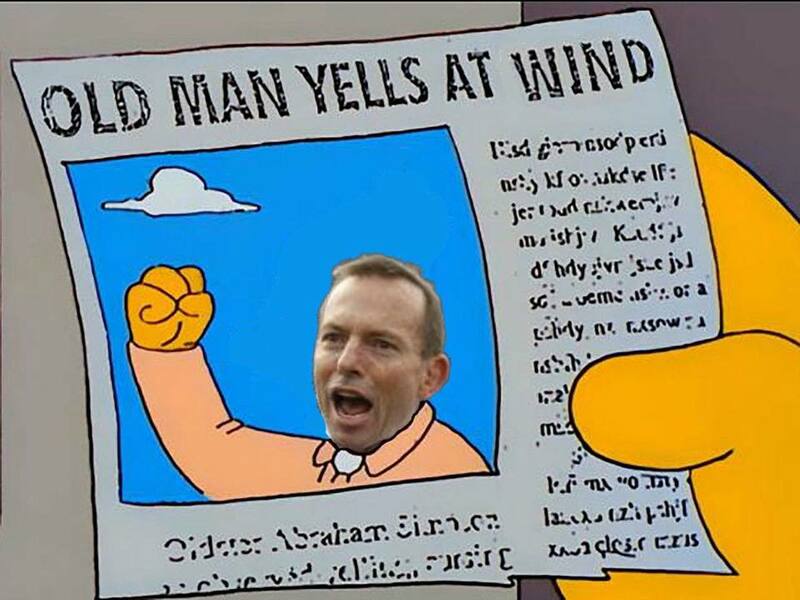 With PM Abbott and the Coalition now completely out of step with the majority of Australians, many have found solace in satire — creating some cracking responses to the recent announcements. Support our campaign by making a donation. Maybe Abbott could take a lesson from that famous conservative icon Ronald Reagan. 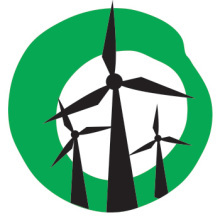 Long ago, Windpower Monthly featured a cover much like the ones above, with Reagan in a lumberjack shirt taking an ax to a wind turbine (he singled out wind energy as a prime example of the waste of tax dollars, in seeking to end its initial investment tax credit support). 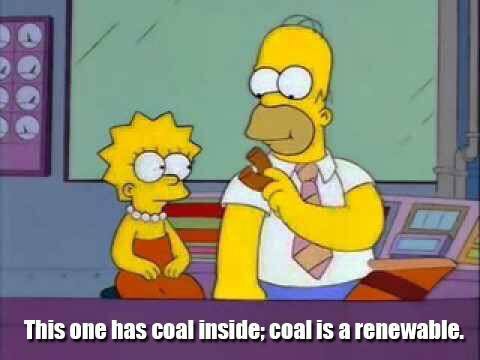 Today, Reagan is in his grave long since, but U.S. wind energy is generating ~150 billion kilowatt-hours a year–enough to power the entire nation for two weeks. Leaders who row against the tide of common sense and history rarely prevail in the end.